The Legislature advanced a bill from general file Feb. 28 that would allow people to make health care decisions for certain adults and emancipated minors. 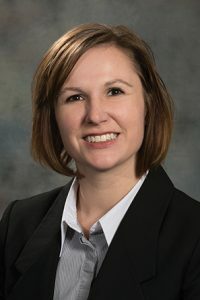 Under LB104, introduced by Lincoln Sen. Kate Bolz, a patient could designate a surrogate to make health care decisions on his or her behalf in the event that the patient becomes incapacitated. Surrogacy is a less expensive and restrictive approach than establishing a guardianship, Bolz said, especially for people with disabilities. In the absence of a formal designation, a member of the patient’s family could act as surrogate in the following descending order of priority: spouse, adult child, parent or adult sibling. If no family member is available to serve as a surrogate, an adult who has exhibited special care and concern for the patient and is familiar with the patient’s personal values may be designated as surrogate. If there is more than one person of equal standing who assumes authority as a surrogate but disagree on a health care decision, the supervising health care provider would comply with the majority decision. A surrogate would be required to make health care decisions in accordance with the patient’s instructions and wishes, if known. Otherwise decisions must be made in the patient’s best interests, taking into account his or her personal values. Decisions made by a health care surrogate would not require judicial approval. The bill specifically would prohibit an owner, operator or employee of a health care facility at which the patient is residing or receiving care from acting as a surrogate. An exception would be made if that person is related to the patient by blood, marriage or adoption. Following approval of a technical Judiciary Committee amendment, the bill was advanced to select file on a 32-0 vote.